This is a bonus issue. A rare feature these days. They give 1 share for each 10 shares you have. 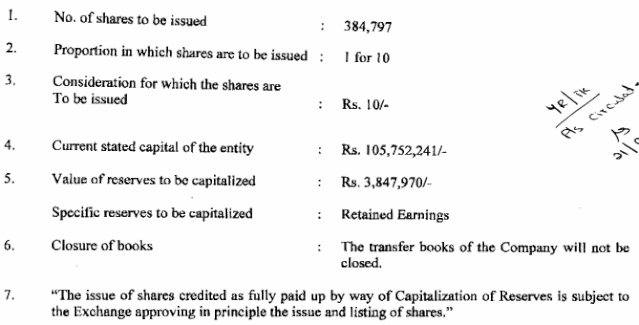 The company transfer Rs.10 from reserves to stated capital for each share.